Clematis is one of the hardiest, most disease-free plants around, and there are over 300 species from which to choose, so what's not to love about this noble plant, which produces the most colorful and climbing vines and aids in producing jaw-dropping container displays. 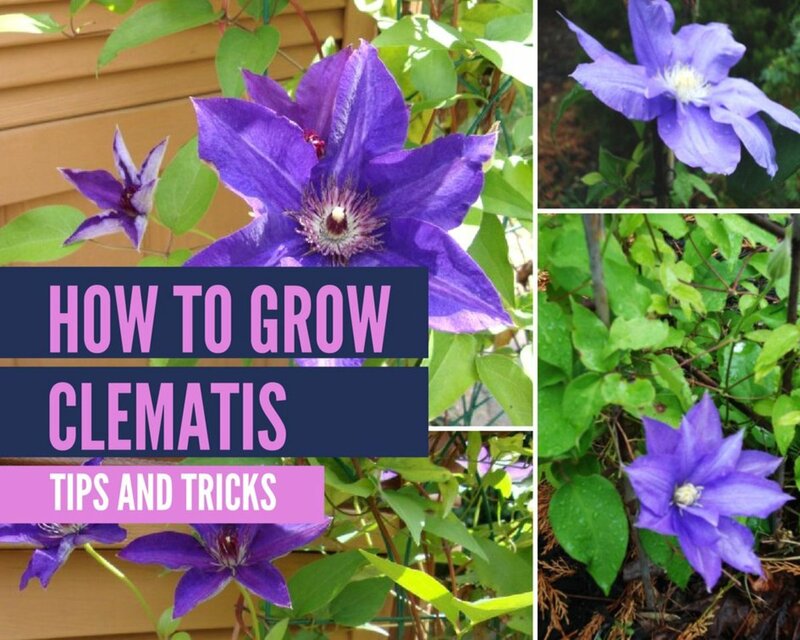 Before explaining ways in which you can create bountiful, beautiful blooming flowers, I would like to first let you know about some of the larger clematis varieties available commercially. 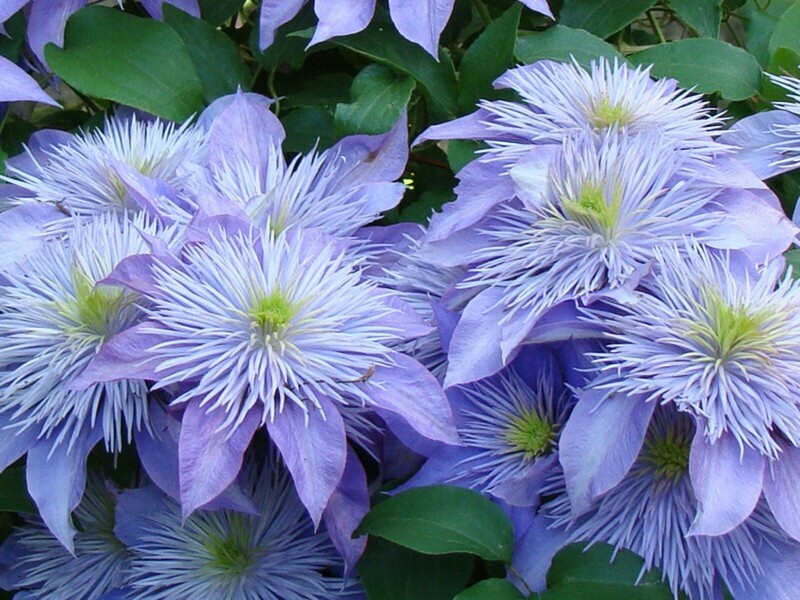 The cultivar you choose will determine when your clematis blooms — on and off all during the summer or only at specific times, like fall or spring. There are three different groups of clematis - Group 1, Group 2 and Group 3. Usually, when you purchase a plant from a garden center, the tag attached should indicate which group your clematis is in. You need to know that information because when it comes to pruning the plants, each of the three groups is markedly different. FineGardening has a great page to help you find out which group your plant is in. Edo Murasaki Clematis - This is a bushy type of clematis from Japan that can be trained as a shrub. There are large, round, perfectly-formed blossoms that appear velvet-like and are in rich, deep purple with red overtones. Clematis Prince Philip - This is one of the largest clematis species with heavily ruffled flowers (sepals are strongly textured with wavy edges) in a rich purple color with shades of red below the white stamens. 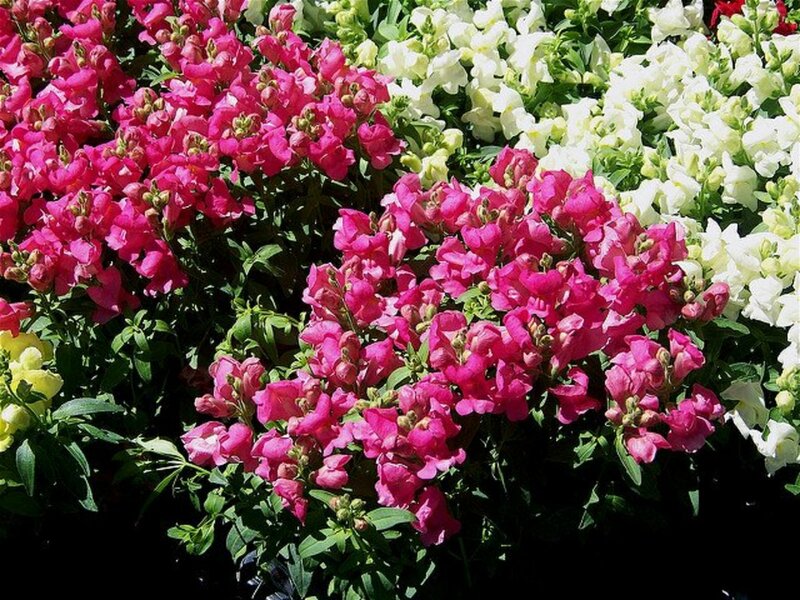 An American hybrid, this lovely flower was named after the British Prince Philip. Clematis Lady Betty Balfour - This clematis plant produces large (6 to 8-inch) deep purple flowers with creamy white to almost-yellow stamens in late summer. Flowers often become bluer as they mature. Clematis Proteus - This variety blooms early in the summer, with the first flush of flowers appearing on previous year's growth. Those flowers are followed by a second flush that will appear on the new growth and probably be smaller than the first ones. 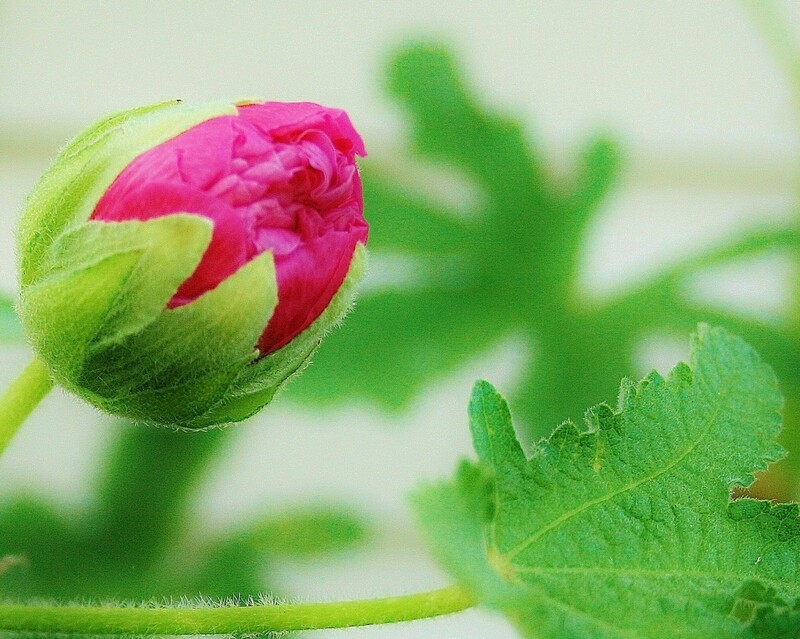 The flowers that bloomed as doubles first will likely bloom as singles the second time. 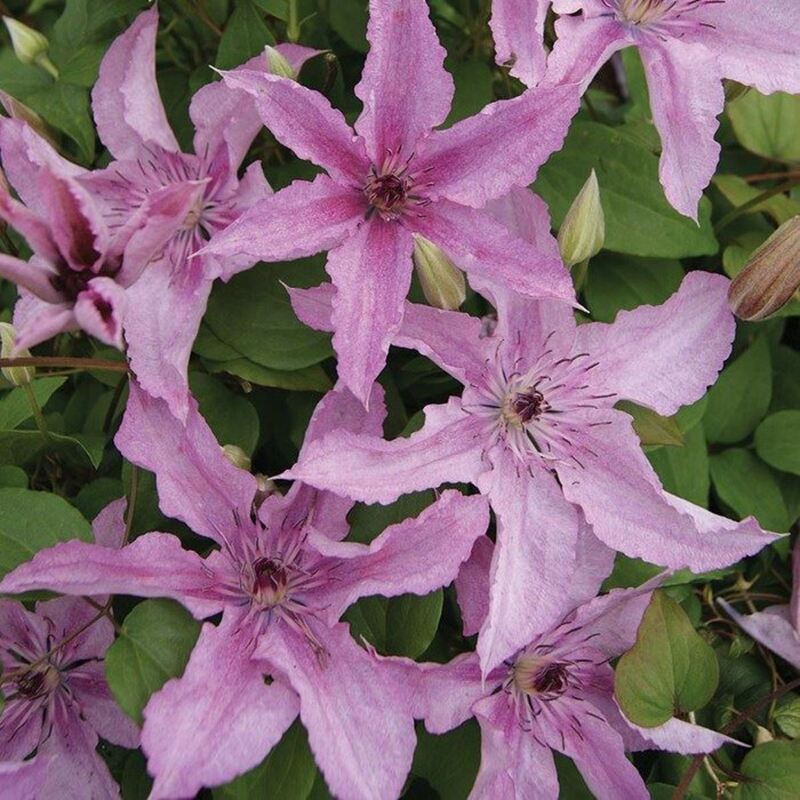 Clematis Hagley Hybrid - This is a compact, large-flowering variety that is both vigorous and versatile. The flowers are a shell pink with touches of lavender. 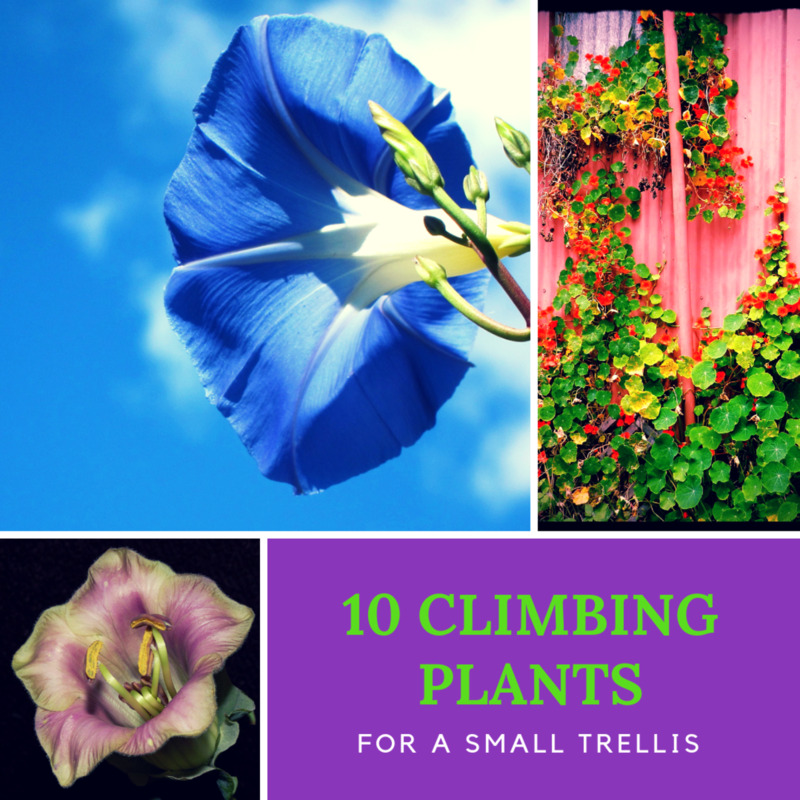 It is an excellent choice for a trellis, arbor, wall or a fence, as it can be trained to climb any of those. Clematis Miss Bateman - This is an extremely early bloomer that produces creamy white blooms with plum purple stamens. 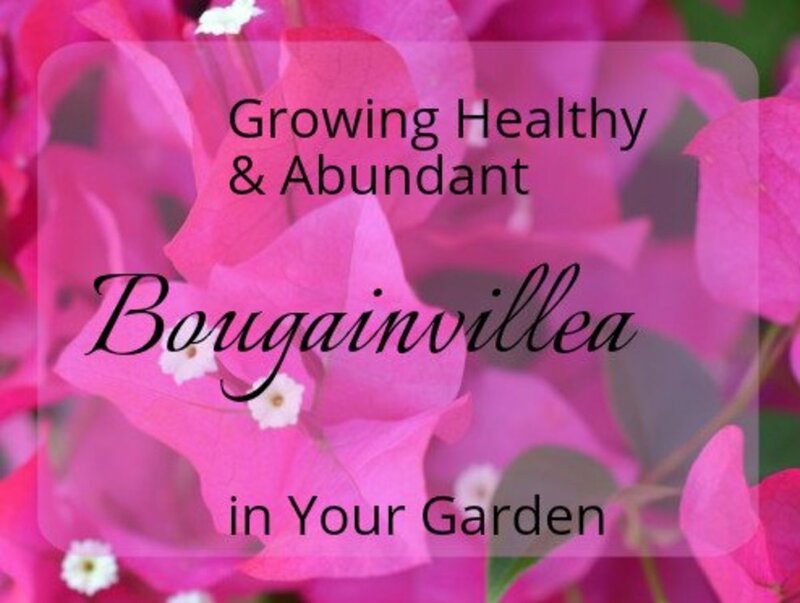 A beloved flowering vine, it blooms in early to late spring and reblooms (although less heavily) in late summer. It is compact enough for a container and looks beautiful in the garden. Clematis Duchess of Edinburgh - This variety of clematis reminds many of fragrant gardenias with its delightfully-smelling, white flowers. This one is popular for cutting and using in floral arrangements. 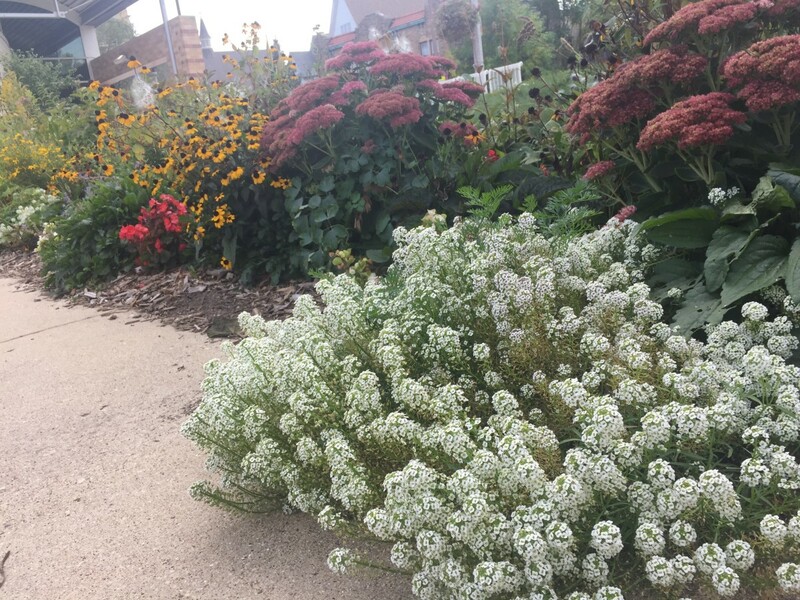 If your goal is to produce larger, more heavily-textured and richly-colored blooms, you need to add the proper nutrients to the soil before planting and prepare the planting area as much in advance as possible giving the ingredients a chance to break down. Dolomite or any type of agricultural lime that contains magnesium will aid in seeing the larger blooms you desire. Lime leaches straight down into the ground, so don't be concerned about it affecting nearby plants. 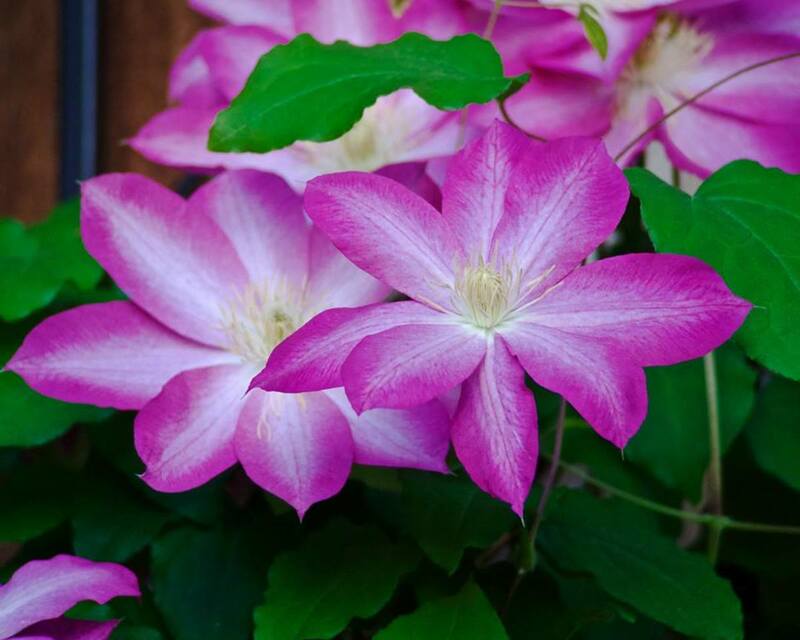 Adding one cup of bone meal per plant at the time of planting will provide a natural, long-lasting fertilizer from which your clematis will extract some crucial phosphorus for many years. One really good planting mixture consists of one part good loam, one part well-rotted manure, one part humus, and one part sand, all of which should be available commercially if you don't have your own. With clematis vines, a good root system is everything, so make sure your planting hole is at least 2-3 feet wide and deep because the root system for this plant requires room to run, as it becomes increasingly larger each season. 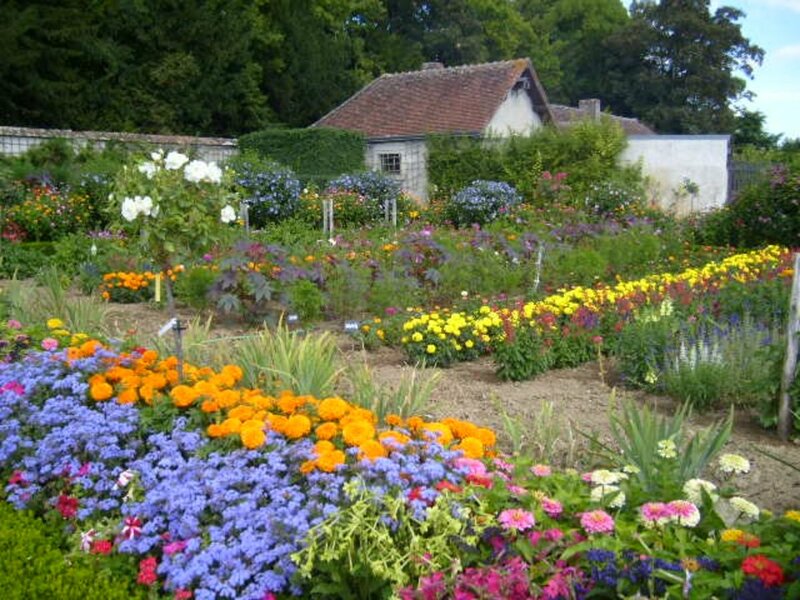 Prior to planting, be sure that the soil in your planting hole is thoroughly wet (but not soggy). When removing your plant from its container, be careful not to disturb the root ball since many plants are grown in sterilized, fertilized soil. Unlike some other plants, you don't need to spread the roots, but instead simply insert the root ball into the wet soil deep enough so that the top is about an inch below ground level. The plant's crown should be about two inches below ground level, a depth at which it will begin sending out a whole new set of roots. If you are planting a dormant plant, don't water it again until after it begins to show some growth. Otherwise, you risk having your plant rot. 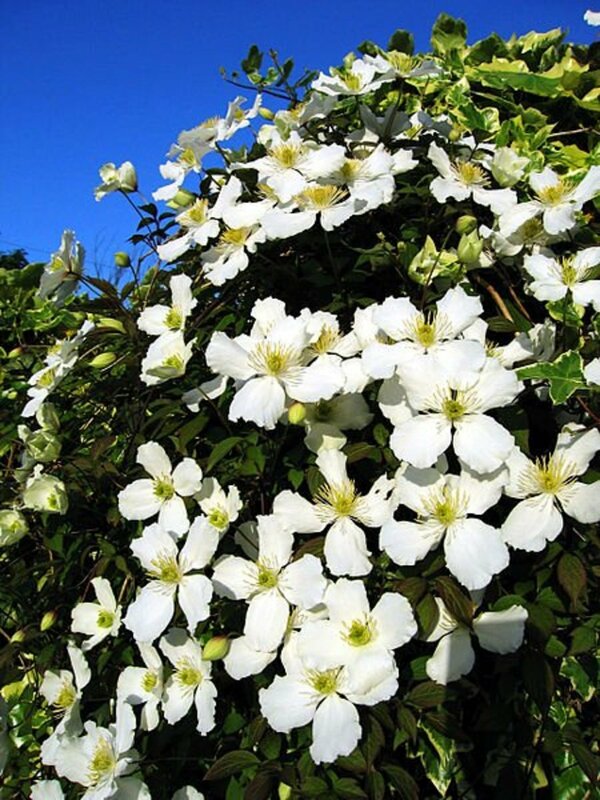 You do, however, need to keep the soil around the plant damp, but not wet, and make certain that the roots of your clematis plant are always in a shaded area. Your planting area needs to be arranged so that the root run will always be shaded and cool while the vines' leaders are allowed to climb up into the sun. 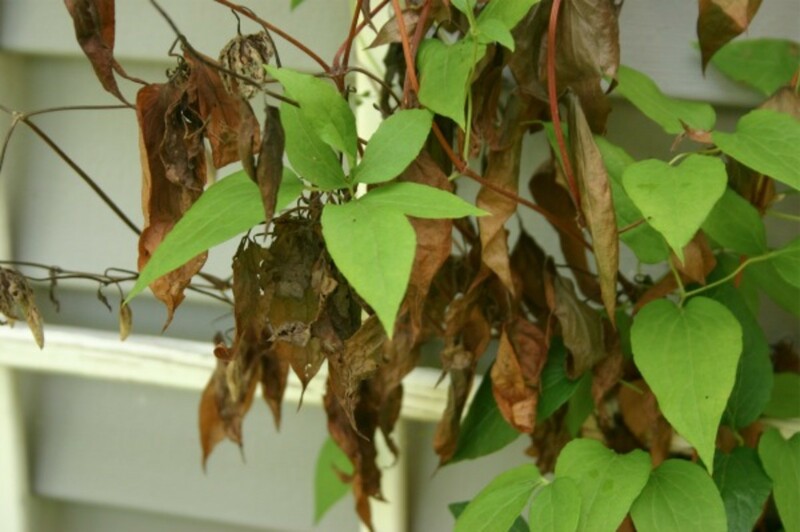 If your clematis plants appear to be thriving one day and withering the next, you may be facing clematis wilt, a common fungus that can kill the entire top of your clematis vine. The good news is that the roots will probably survive and can continue to thrive if the disease is caught early enough. The disease is spread by spores that probably remained in the area on the debris of last year's vines or possibly carried by the wind from another nearby clematis plant. It is more prevalent during damp or humid weather. If your clematis vines are thick and tangled and remain wet for long periods of time they are at increased risk for clematis wilt. This fungus is just about the only serious disease that can attack clematis plants. 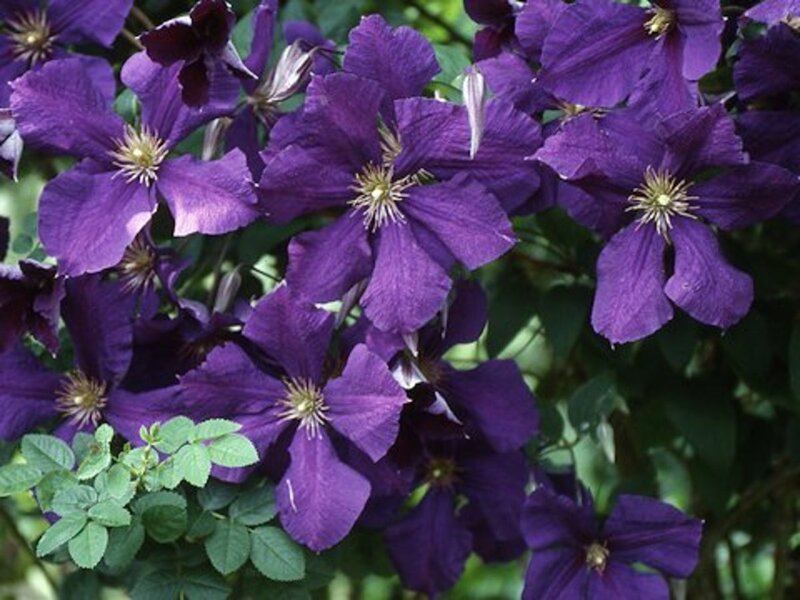 It causes the foliage and stems of your clematis vine to dry and wither. You may, in the beginning, see reddish lesions along the stems but the onset and spread of the disease can be quick so you may not have a lot of warning before the entire vine begins turning brownish-black. If you see any sudden discoloring, even if it's only a few stems, it's probably an indication that your plant has been infected and you need to take immediate action. At the first sign of withering or drying, cut the affected stems back to ground level, which sounds severe but because the roots are not affected, your plant can be saved. Dispose of the cuttings; don't put them in a compost. New shoots should emerge shortly after cutting. You also want to take proper precautions to keep the disease from reappearing next year so in the fall remove all remaining vine and leaf growth and dispose of it in an area away from your garden. Again, don't put it in your compost bin, as the fungus could easily overwinter in the dead foliage.